A high school football coach in Georgia enlisted his team to help him pop the question to his girlfriend. Pickett told "Good Morning America" that when it came time to propose to his girlfriend of one year, Ashley Wilson, he asked some of his players to help. "She's the love of my life," Pickett, 31, said. "She supports me in everything I do ... She's at every single football game, she knows it's my passion. She knows I'll do anything [for] those boys." 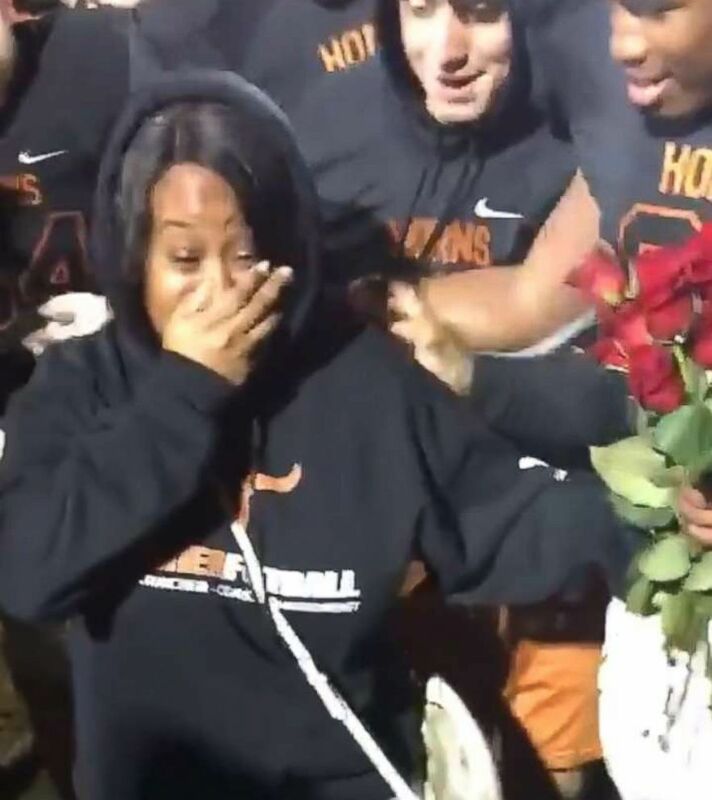 (Kiley Coursey via Storyful) Nafis Pickett is the recruiting coordinator and wide receiver coach for Lanier High School's football program in Georgia and proposed to his girlfriend Ashley Wilson at the game. "He cried, and of course we got emotional with him," a teacher said. "I will do anything to make my school a better place." "This video was pure joy," said LaDarius Marshall, a student at Navarro College.